The archeological findings prove that starting from Lower Paleolithic period there have been going on the continued social and cultural development of human society in this region. In 1938 the site of Neanderthal man was found in Teshik-Tash cave in the spurs of the Hissar mountain ridge. The relics of late Stone Age as well as of Bronze Age are numerous on the territory of Central Asia. They were found in Anau, Geoksur, Namazga-tepe and other areas - from the Caspian Sea to Zhetysu (the south-eastern part of Kazakhstan where 7 rivers are flowing; thus the name Zhetysu - Seven rivers). The powerful states sprung here already in the middle of the first millennium B.C. The most important among them was Baktria, Sogdiana and Khorezm. Traces of Alexander the Great invasion were found in this region. In 250 B.C. 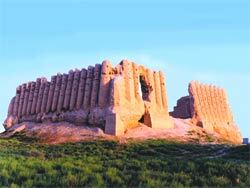 on this vast territory there was formed the Parthian and Greek-Bactrian kingdoms, while in later period - in about 150 years- there was founded the Kushan kingdom. At the junction of eras there was observed significant development of culture and art of the ancient peoples of Central Asia. 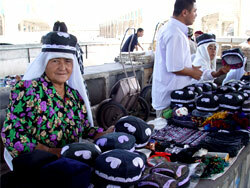 At this period of time such towns as Termez, Marakanda (Samarkand), Tuprak -Kala. Nisa and Kushania became the important cultural centers, with a high level of architecture and town-planning skills. Centuries went by, one ruling dynasty gave way to another, but the process of assimilation of peoples and their cultures kept on going steadily, alongside with building new societies. On the basis of confrontation and to a certain extent the interaction of the spiritual values there were shaped the religious and philosophical beliefs. The reflection of these beliefs, according to the modern researchers, can be easily traced in the doctrines of antique scholars, whose postulates still serve today's generations the basis for searching the purport of universe. This can be vividly illustrated by Zoroastrianism. The majority of modern scientists contend that ancient Khorezm became the homeland of Zoroaster, the religious teacher. When he was 40 years of age he proclaimed himself the prophet and became well known as the author of holy book "Avesta", in which he substantiated his teachings. Under the aegis of UNESCO the world's community celebrated on a large scale the 2700th anniversary of "Avesta" in Khorezm. Nowadays the names of eminent Central Asian scientists and philosophers such as Abu Ali ibn Sino (Avicenna), Beruni, Farabi, Firdousi, Navoi, at-Termezi and many others, have become well known on all the continents. 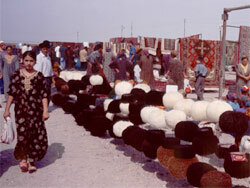 Central Asia, with great variety of its unique historical monuments, attracts both researchers and travelers. Many of such monuments are located on the territory of modern Uzbekistan. 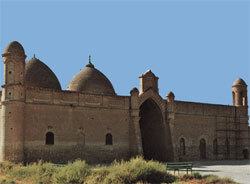 Today, as well as centuries ago, the tourists are fascinated by the prime beauty of majestic palaces, mosques, madresahs and mausoleums of Ichan-kala ensemble in Khiva, historical monuments of Bukhara, Samarkand and Shakhrisabz, which are included into the UNESCO list of world's cultural heritage. It is universally recognized that Merv, which is located on the territory of modern Turkmenistan, has acquired great importance for the development of civilization of Central Asia as well as for other civilizations. This is one of the greatest ancient towns. The first period of its prosperity dates back to the 5th century B.C., to the times of the rule of Akhemenides, whose empire was extending from Turkey to India and from Central Asia to Egypt. Merv outlived the Hellenistic age; it was ruled by the Parthians and Sasanides, the Seldjuks and Temurides. At all times trade supported Merv. Being one of the biggest administrative and trade centers, it was surrounded by outer wall with powerful fortification that protected palaces, caravan-sarays, fabulous oriental bazaars. Of great interest is Khoja Akhmad Yassavi mausolem located on the territory of another country of Central Asia - Kazakhstan. 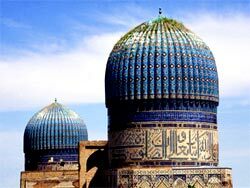 Located in the town of Yassi, Turkistan as we know it today, the mausoleum was built in the 14th- beginning of the 15th centuries during the reign of Amir Temur. The Persian architects, who had been brought here by sakhibkiran, were much experimenting while erecting the monument. In the later period their peculiar architectural solutions were widely used in the constructions of Samarkand, the capital of Temurides' empire. Excursions to the well-preserved ancient towns of Central Asia give you the opportunity to see for yourself the grandeur and imperishable cultural wealth of the peoples inhabiting the Great Silk Road region during various historical periods. However, today Central Asia attracts the travelers not only by its historical places of interest, but also by its surprisingly varied luxuriant nature. Within one day you can find yourself in various climatic zones: in Alpine meadows and in open spaces of apparently boundless steppes. 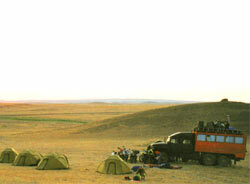 Drought-affected torrid deserts and mountain ranges affected by the erosive winds and covered with never melting snows and glaciers, deep lowland rivers and impetuous highland streams - the whole palette of colours and nature resplendence open before the eyes of the traveler touring the region. 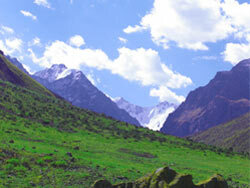 Today, indeed, Central Asia possesses enormous resources for ecological tourism. 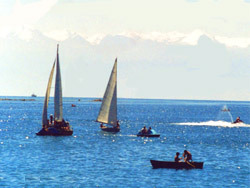 One of the most wonderful places where ecological tourism can be combined with active recreation is the Lake Issyk-Kul. It is located on the territory of Kyrgyzstan and can be numbered among the world's biggest mountain lakes. The water in this lake does not freeze even in wintertime. Being a closed lake it has slightly saltish water- the fact that explains why sometimes it is called the "sea". Every year thousands of people from different countries of the world recreate in the numerous sanatoriums and boarding houses on the lakesides. You can feel the primeval beauty of the surroundings in the National parks, on the lakes of Kazakh steppes, in forest reserves of Northern Tian-Shan or the Usturt, as well as in many other wonderful places of Central Asia, where genuine natural wealth is being carefully preserved. Traveling along this region will enable the inquisitive tourist to enrich his fund of knowledge as well as to familiarize himself with the cradle of civilization and existence, embodied both in man-made monuments and in everlasting creations of nature.